Cheyenne moves faster than anyone, and when she flies, she takes a purse. Cheyenne traded his Colt for an Arc. Beware, it is much more precise with its arrows, especially as they are poisoned. 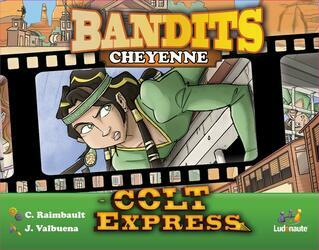 A Bandit hit by a poisoned Arrow can not win unless he picks up an Antidote before the end of the game.